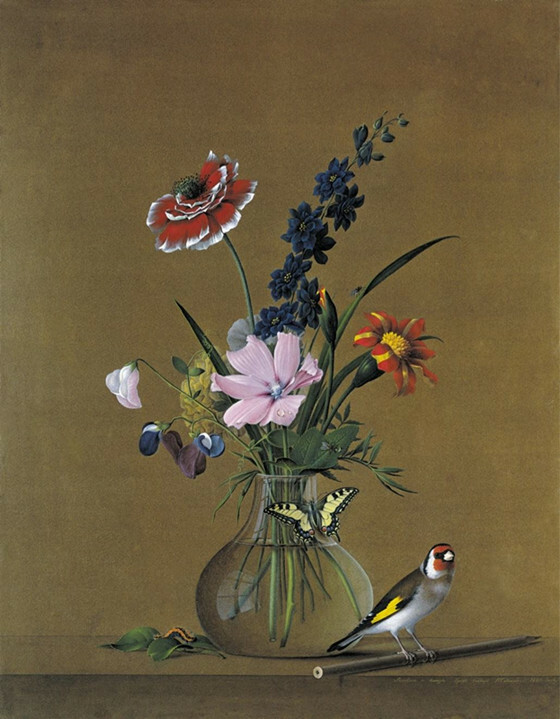 A Bunch of flowers, a butterfuly and a birdie, 1820 Painted by Tolstoj F.P. We can make the Flower Oil Painting with special size according to the requirements of clients as well. If you require the special size, please mention to us in your email. Thank you.